Whether you are flying abroad for a well-deserved holiday, or you are going on your first business trip, the world of flying can sometimes be difficult to navigate for a total beginner. Unfortunately, travelling by air is not always the smoothest of experiences. 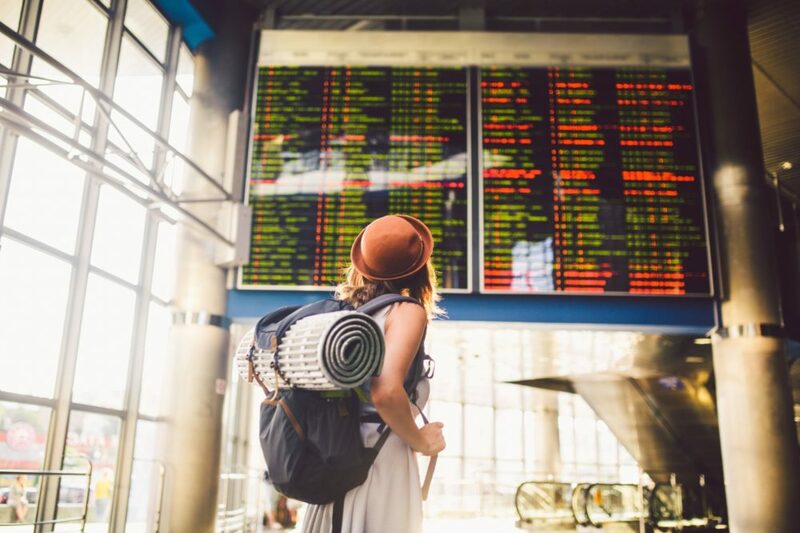 When things don’t go according to plan, it isn’t just your stress level that might suffer; there can also be a financial cost to you for missed connections, late check-ins, and other incidents resulting from a cancelled flight. There are a number of reasons why an airline might cancel a flight. Weather conditions could be unsuitable for flying or there could be a security issue, but no matter what the underlying reason is, there are some instances where travellers are entitled to compensation. If you are not a frequent flyer, you might not be aware of your air passenger rights. However, their existence is something that every traveller should be aware of, regardless of how often they fly. What Is a Flight Cancellation? A flight cancellation is when a flight is cancelled. But as flight compensation involves dealing with legalese, it’s worth understanding the legal definition of what exactly constitutes a flight cancellation. The regulation that covers this is EC 261, and it defines a flight cancellation as being “the non-operation of a flight which was previously planned” upon which “at least one place was reserved” for the claimant. Note that a flight which is delayed, but which is not cancelled, does meet the requirements as laid out by EC 261. Not everyone whose flight is cancelled is entitled to claim compensation under EC 261. In order to qualify for compensation, passengers must meet the following criteria. The flight in question was scheduled to depart from an EU airport, regardless of the airline operating it. Or, the flight was scheduled to land in the EU and the airline in question is headquartered inside the EU. You have confirmation of your reservation. This must include information such as the flight number, the name of the passenger making the claim, and the booking number for the reservation. Notification of the flight cancellation was given to the customer with less than 14 days until the date of their flight. The flight is cancelled for reasons that are entirely within the control of the airline. For example, extreme weather events and security lapses are beyond the control of the airline. However, technical difficulties or operational difficulties arising from staff shortages are both considered to be within the airline’s control. In the language of EC 261, these do not meet the criteria for “extraordinary circumstances”. A recent ECJ ruling has made clear that passengers aren’t entitled to compensation if a flight is cancelled because of a “wildcat strike”. In those circumstances, responsibility for staffing the flight remains with the airline. This also incentivises airlines to resolve disputes with staff before they reach the stage of strikes. There are a number of relatively common circumstances in which a flight is cancelled but the passengers are not entitled to any compensation. If passengers are notified that the flight will be cancelled well in advance, passengers cannot claim compensation. EC 261 considers anything over 14 days to be well in advance, so as long as passengers have at least two weeks’ notice that their flight is to be cancelled, they are ineligible for any compensation. If a flight is covered for reasons that couldn’t have been avoided by the airline, passengers won’t be entitled to compensation. EC 261 considers such situations to include lightning strikes, medical emergencies in the airport, or on the aeroplane, other serious adverse weather events, staff strikes at the airport or with air traffic control, technical difficulties with airport infrastructure, acts of sabotage against aircraft or airports, serious national security incidents and political unrest. One case of adverse weather events that is not as clear-cut as most is in the case of heavy snow. If there is a sudden and unexpected blizzard or heavy snowfall that the airline could not reasonably have prepared for, no compensation will be paid. However, if other flights are taking off, but yours has been cancelled because the airline failed to keep adequate stocks of de-icer available, this would suggest that the airline is at fault and could have prevented the issue. An ECJ ruling in April 2018 decided that so-called “wildcat strikes” did not meet the definition of extraordinary circumstances. However, this applies only to airline staff. Striking staff in other places, such as the airport itself or air traffic control would still be considered to be beyond the airline’s control and, therefore, qualify as extraordinary circumstances. Finally, if the passenger is travelling free of charge, such as flight staff, or is flying at a reduced rate that is not available to the general public, they will not be entitled to compensation. In most cases, if an airline fails to give you at least 14 days’ notice of a flight cancellation, you will be entitled to compensation. However, if the airline offers to re-route you, and meets certain criteria, they can free themselves from liability for the compensation claims. If they give you between seven and 13 days’ notice of the cancellation, the airline can avoid paying compensation if they offer you an alternative flight which departs no more than two hours before the cancelled flight, and which arrives less than four hours after the cancelled flight would have. If you are given less than seven days’ notice of a cancellation, the airport will be free of liability under EC 261 if they offer an alternative flight which departs within one hour of the cancelled flight’s departure time, and which arrives at the cancelled flight’s destination within two hours of the original landing time. So, how much compensation can you get? The exact figure is determined by both the length of the delay to your landing if you opted to accept re-routing, and the distance the cancelled flight was due to travel. A full or partial refund for the cost of your ticket. It will also cover the cost of a return flight to your point of departure if you had to take one. Alternative transport to your final destination, at the earliest possible opportunity. A new ticket to the destination you had planned to travel to, on a date of your choosing (provided there are tickets available on that date. In the most serious cases, this compensation can be up to the equivalent of 600 Euros. You can make claiming flight cancellation compensation easier by using a service such as AirHelp. AirHelp supports passengers in finding out if they are eligible to make a claim and ascertaining what level of compensation, fliers are entitled to. If your EU-based flight is cancelled, you should make sure to check the criteria for the flight cancellation compensation scheme, just in case. Airlines have been known to deny valid claims or not respond to claims at all. Claiming through a service like AirHelp ensures they will pay attention.